Since I own a GPS logger and I've tracked a lot of my car movements, I thought it could have been a good idea to collaborate to a new project I found online. It's called OpenStreetMap. 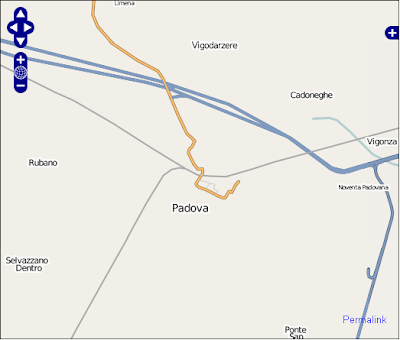 This is the mapping of Padova before I started working on it.